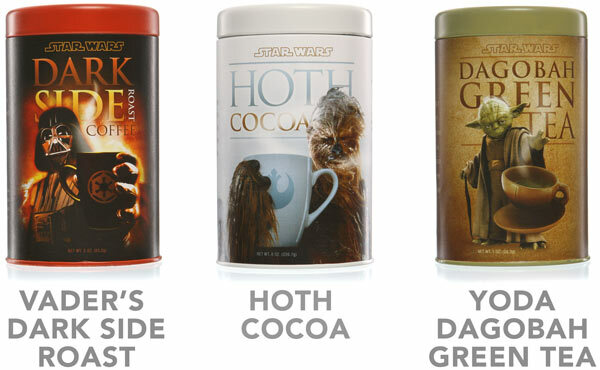 Wake up to either a cup of Vader’s Dark Side Roast Coffee, Dagobah Green Tea, or Chewbacca’s favorite, Hoth Cocoa. The Star Wars Breakfast Beverages Set is what both imperial and rebel forces use to wake themselves up in the morning. This three beverage set will get your ready to run the Death Star, pilot an X-Wing, or do your Jedi training!